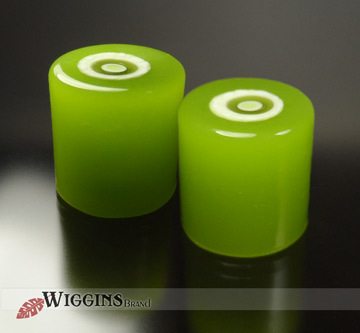 Introducing Wiggins Brand custom handmade glass control knobs made by Renee Wiggins. Beautiful jewelry for your guitar. Each lampworked knob is made one by one, individually by hand using a professional glassworking bench torch, precious metals, custom made decorative elements and various glasses. This labor intensive process begins by melting beautiful glass on a stainless steel mandrel, and using specialy made tools to shape. Each piece is artistically adorned with various unique elements, textures and colors. Knobs can be finished with chemical etch to produce a velvety matte finish, or left as is with a shiny surface. Each knob is hand sanded at the base for as smooth finish, and then fitted with an insert that is ready for your split shaft pot. 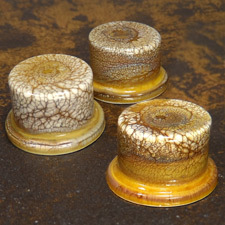 Please view our glass knob gallery for more design ideas. We hope to have available Buy Now stock soon. Please check back. Glass knobs are very durable and easy to care for, but they are glass and can break or chip if smacked hard enough or dropped. When installing them on your guitar, take care not to force them onto the pot shaft (split shaft pots only!). If the fit seems too tight, simply close the split shaft with pliers a little at a time to test snugness. If too loose, open up the pot shaft a little. Knobs should be installed by pressing straight down onto the shaft, and not a an angle. Press the knob down as far as it will go easily. There will be an approximate 3mm gap between the knob and the guitar face, depending on how high the retaining nut is on your guitar. To remove a knob, simply pull straight up, but try not to torque back and forth. It is also advisable NOT to use a metal jack, as this can chip the bottom edge of the knob. Cleaning is simple, a little soap and water is all you need, but don't use an abrasive pad or gritty cleaners as this can scratch the glass. 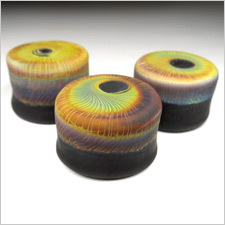 Enjoy your one-of-a-kind handcrafted glass knobs! 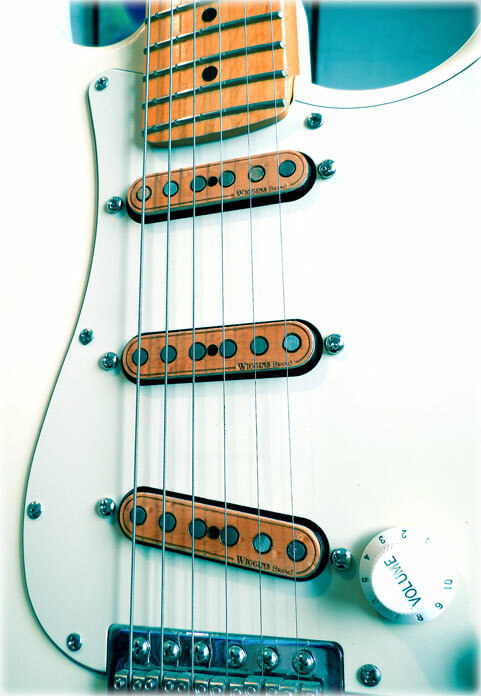 We use only the finest solid hardwoods available for our pickups & build our pickups one at at time by hand. 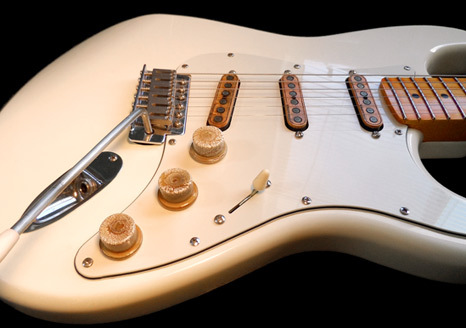 Get the latest news; Wiggins Brand Pickups is on Facebook.